The world is going mobile. Is your business ready? 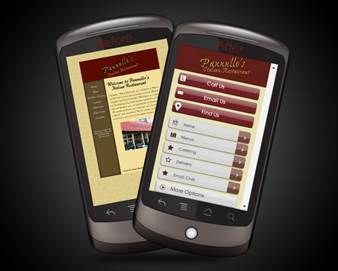 What is your business missing by not having an optimized mobile website? In today's fast paced world it’s crucial that your business cater to its customers better than ever, that's why being mobile is so important! Today's customer is not only searching for local businesses on the internet – but many more are searching for them on a mobile device than on a pc. 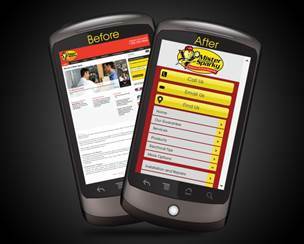 This is why it is crucial that your website be mobile friendly. In addition to that, the FTC put in place rules that many businesses must have mobile friendly and mobile compliant websites. You may think your website is already mobile friendly – but the odds are it's not as less than 5% of all websites today are. Our Mobile Websites are not generic sites. They are custom hand edited beautiful sites with many custom features such as Click to Call, Click to Text, Click to Email, Mapping Functions, Menu Pages (for Restaurants), YouTube Integration, Image Galleries, PayPal and Google Checkout and much much more. Tell us what you want and we will meet your expectations. We will redirect the mobile site from your main site so anyone viewing your main site on a mobile device will automatically be redirected to the new mobile site.